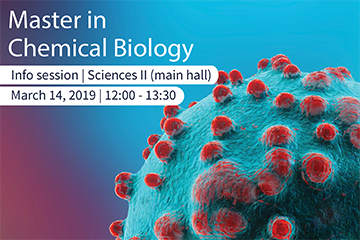 Are you looking for an interdisciplinary Master in Science? 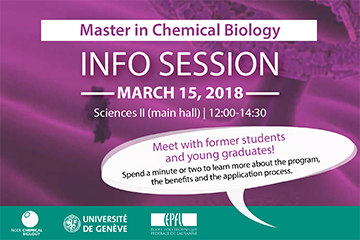 Get an insight into the Master in Chemical Biology program during lunch time at the University of Geneva! 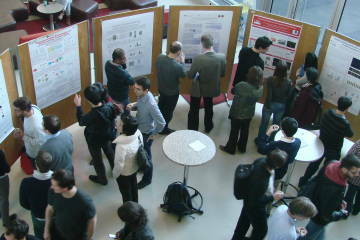 Biochemistry workshop at EPFL: You have to see it to believe it! 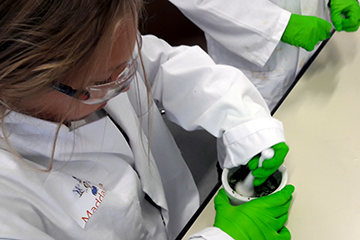 For three afternoons, 11- to 13-year-olds experiment with cells and molecules and discover what biochemistry is about. The next Site Visit of the Swiss National Science Foundation Review Panel will take place from 20 to 21 October 2016 in Geneva (UNIGE, Uni Mail). 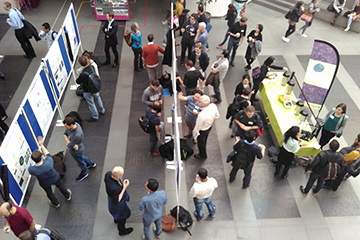 Open House for microscopy and Oktoberfest!